NJERU – Fifty eight (58) match assessors are currently undertaking a refresher course at the FUFA Technical center in Njeru. The refresher course which is running from Monday to Wednesday is organized by the Federation of Ugandan Football (FUFA) alongside the Confederation of African Football (CAF). Among the 58 participants, 56 are from football while the other two from Beach Soccer. CAF instructor and Rwandese retired FIFA Assistant referee and member of the CAF Referees committee and IFAB Celestin Ntagungira is taking charge of the course. While speaking at Njeru, Ntagungira thanked both CAF and FUFA for organizing the course which he hopes will help improving officiation. ‘I thank CAF and the leadership of FUFA for organising such a course which is important because Assessors play a big role in refereeing by improving the quality of the referees, giving feedback to the committee and the referees. Said Ntagungira. Assessors are also instructors who must be in line with the trend of football when they get refresher courses to widen their knowledge which they later pass on to the referees. We need to have uniformity in the assessment world over that why CAF and FIFA encourage such refresher courses, he continued. Chairman of the Uganda Football Referees Association Ronnie Kalema who is also a key figure at the course highlighted that the assessors will undertake three exams to assess what they have been taught. ‘The role of an assessor is to guide the referees into proper performance in the field of play, said Kalema. “They also help the Federation scout young referees from the eight regions. The assessors will be subjected to three exams to help asses them too on what they have been taught during the course. FUFA Technical director Ali Mwebe while at Njeru on Monday, thanked CAF for responding to FUFA’s request for the course. “FUFA wrote to CAF asking to organise such course and an international instructor. We are grateful that CAF responded to our request, said Mwebe. 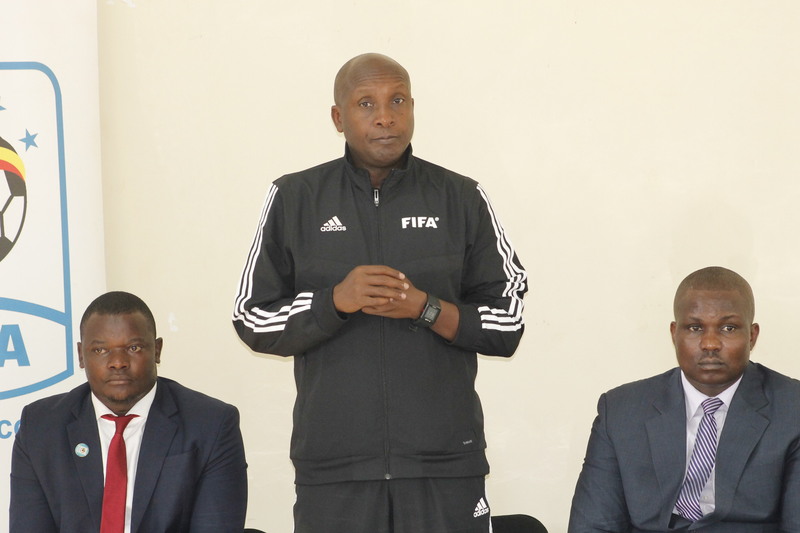 “As the Football Development Department at FUFA, we are looking forward to reepIing positively from such a course with the improvement in the refereeing standards.